Hard Hitting Brooklyn native Peter "Kid Chocolate" Quillin has his sights set on a Spring showdown with world champion Sergio Martinez, but if a veteran counterpuncher from Las Vegas by the name of Ishe Smith has anything to say about it, Quillin will be on the rebound trail by that time. Smith and his camp have spoken with Quillin's promotional outfit about a possible meeting this fall, and Smith is making his interest no secret. "I like Quillin, He's a throwback fighter, and if he wants to truly test himself I think he would get in there with me. 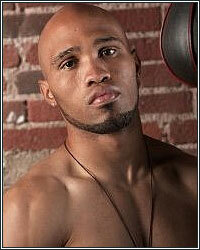 I'd love to mix it up with him this fall" Smith noted on the prospective middleweight match up. Quillin has notified various media outlets that he may be back in action this October on the undercard of Bernard Hopkins' title defense against Chad Dawson. "Kid Chocolate" is coming off of a stoppage victory in July over Jason Lehoullier. Smith turned in an impressive 2010, giving then undefeated Fernando Guerrero all he could handle in a controversial decision loss, and picking up a 2nd round knockout of Alexander Quiroz. 2011 has been quiet thus far for Smith, who has stayed sharp through a steady training routine. Ishe Smith turned professional in 2000, and has captured NABO, WBC Continental, and USBA welterweight titles. Becoming a household name by participating in NBC's The Contender in 2005, Smith has since appeared on national television numerous times. Along with holding several marquee victories Smith has also shared the ring with Floyd Mayweather, Fernando Vargas, Shane Mosley, and Oscar De La Hoya as a sparring partner. Smith is based out of boxing's capital city of Las Vegas, Nevada.